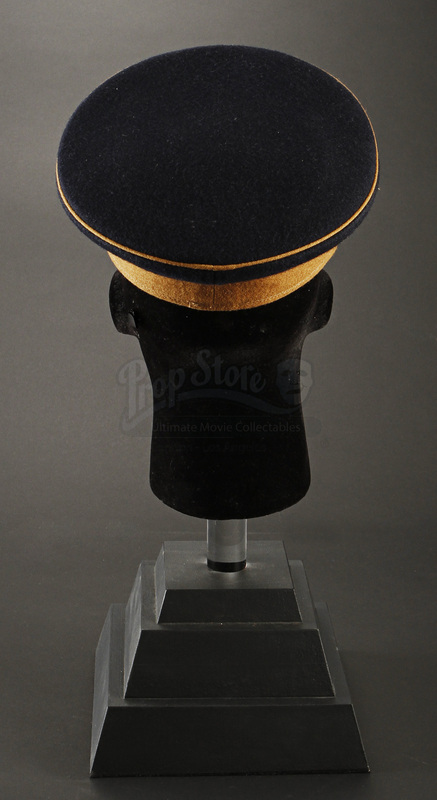 An Imperial Artillery Officer's Hat from Edward Zwick's 2003 historical drama, The Last Samurai. 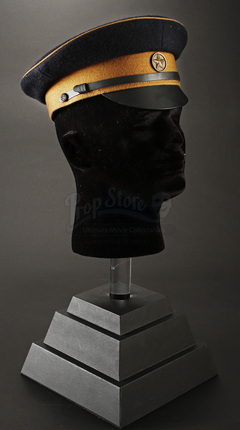 The Japanese Imperial Army wore blue uniforms with hats such as these that can be seen throughout the film. 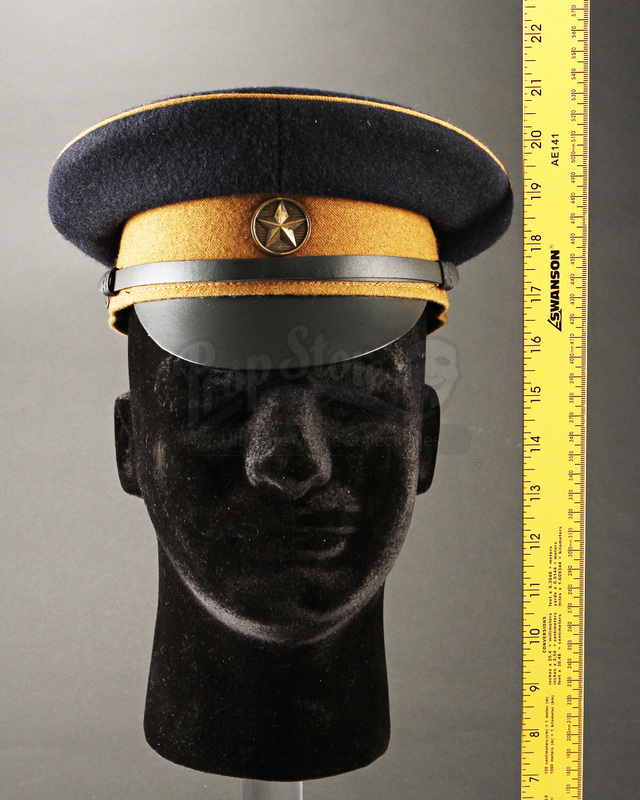 Unlike the infantry, which wore blue uniforms with red stripes, this hat features a gold stripe indicating a higher rank and placement within the artillery. 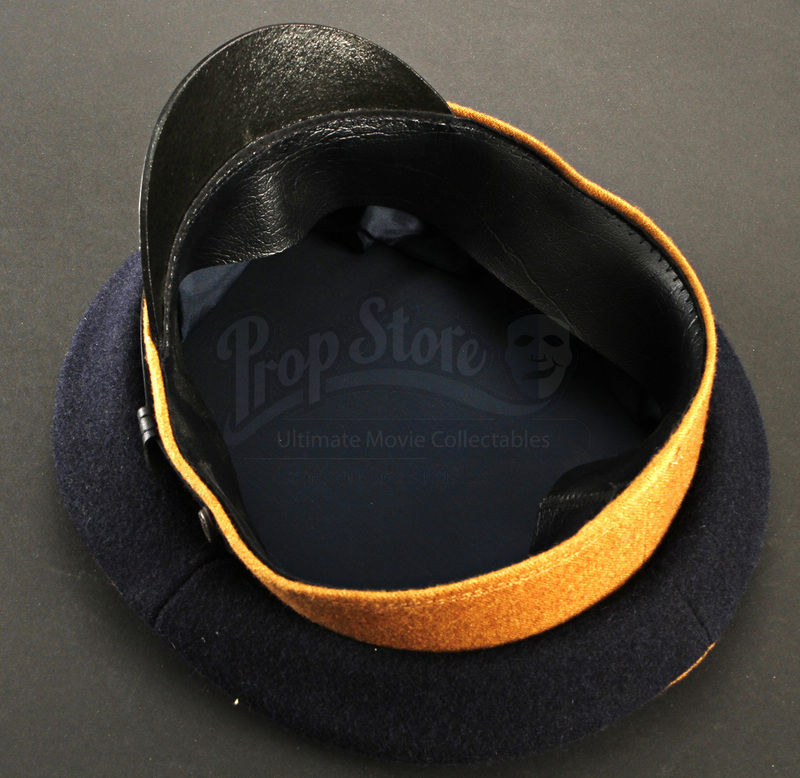 This hat is made from a variety of materials, and has soft cotton/wool fabric attached to a sturdy frame. 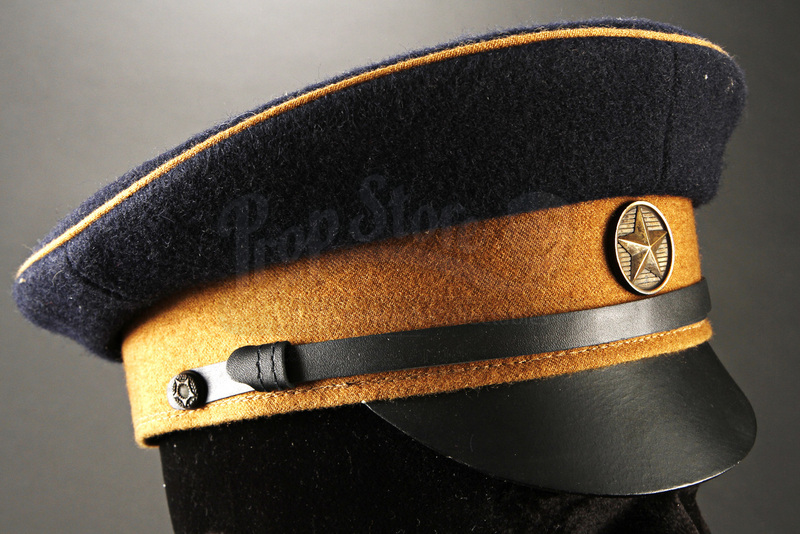 The brim is made from faux leather and features a small brass colored star ornament that has been placed over the gold lining. This hat does not feature any sizing information, however it remains in good production used condition. 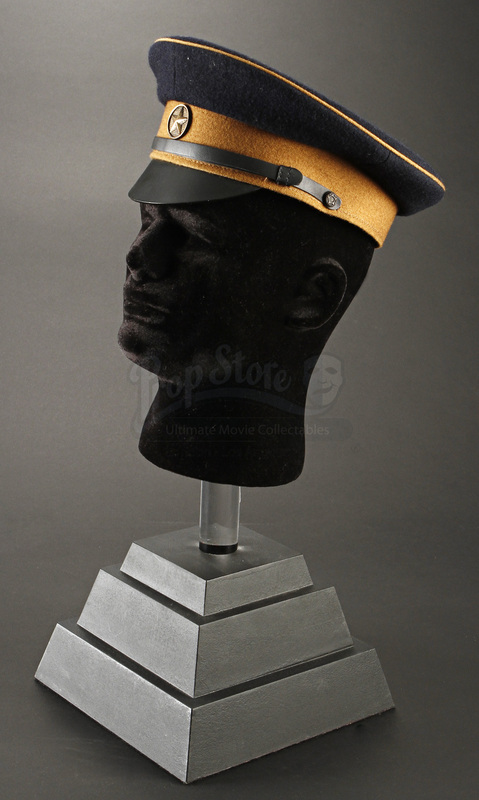 *Please note that the headstand is not included.